Synopsis: Entering a Skaarj temple sounds like the right place to get mauled to death. fyi Blank.umx and null.umx are just silence music, no need to list those. This was a damn fun level to convert to G59 but it still wasn't probably enough and I'm going to improve it. It's full of fun concepts; most of them seen in Unreal (Myscha maps especially) originated from this level, like the invisible thin bridge thing. 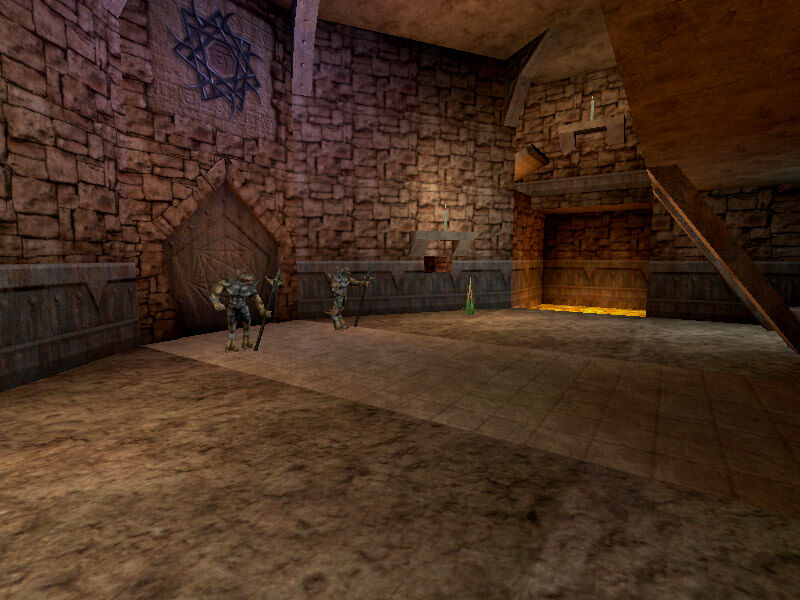 It also had a really interesting Skaarj character who became an important figure in custom mappacks and in the PSX version of Unreal too. Cliff edited this level countless times - apparently the whole lava area had over 2 complete reworks. A lot of people said this was their favorite of the 3 dungeon levels in RTNP:UE. I personally like Soledad the most, but this one is still good. It was definitely annoying getting a decent BSP rebuild of this map, though... Even with the build currently in RTNP:UE, there are a few tiny HOMs in the spiral stairs with the gasbags. I think I covered them up for the most part, but you can still find them if you look close enough. I'm not sure I have a strong opinion specifically on Jrath. I like Nexus a bit better, but Jrath and Soledad are also very good. I just wish that the crypt/dungeon theme made it into the full game besides just textures. I do like the concept of Jrath as a religious entity though and wish that later games and concepts explored it more. Unfortunately Epic kinda screwed up expanding/exploring the Unreal universe outside of some awesome map descriptions and opponent descriptions in UT99/UT2004, and UT3's somewhat stupid singleplayer. Unreal 2 had some neat lore though, I just wish the game itself was good. 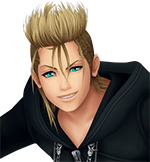 At least I can depend on fan stuff and my own headcanons to expand the lore of Unreal further I suppose. 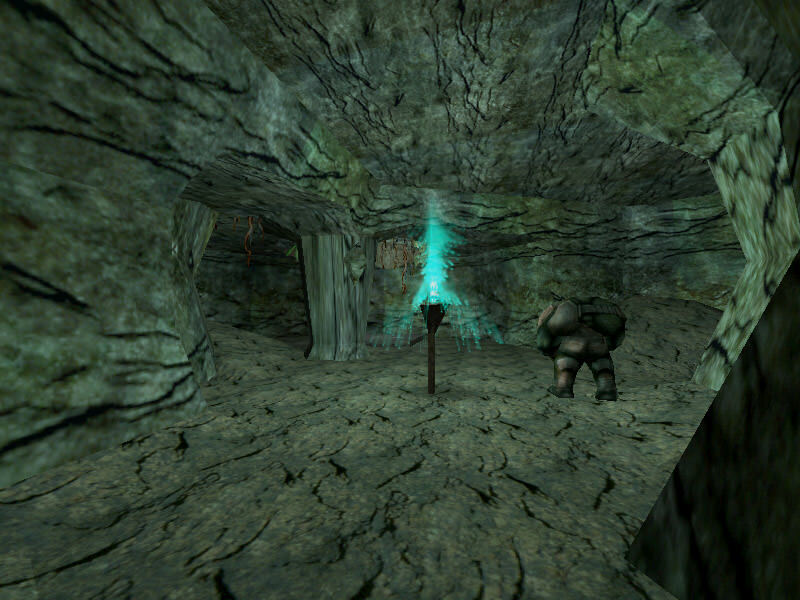 Also I still want Uberserker's concept of an Unreal remake to become real. This just reminded me of it for some reason. 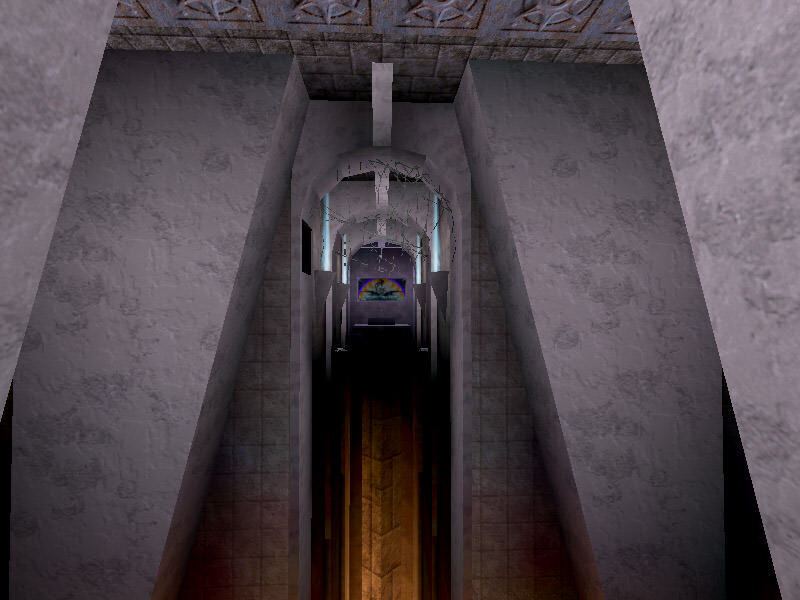 I haven't played UE as a whole in a while so I'm not sure how I would compare it to the other Crypt maps, but in general it's a theme that it's a shame didn't get into the actual game (or RTNP) in some form. This is a relatively linear action-based level, but it does that well, and I'd put it up there with some of my most liked levels of that sort such as Foundry/Boundry. The way the story is executed is nice too, with various propaganda messages and the final reveal from the secret door the Nali opens. 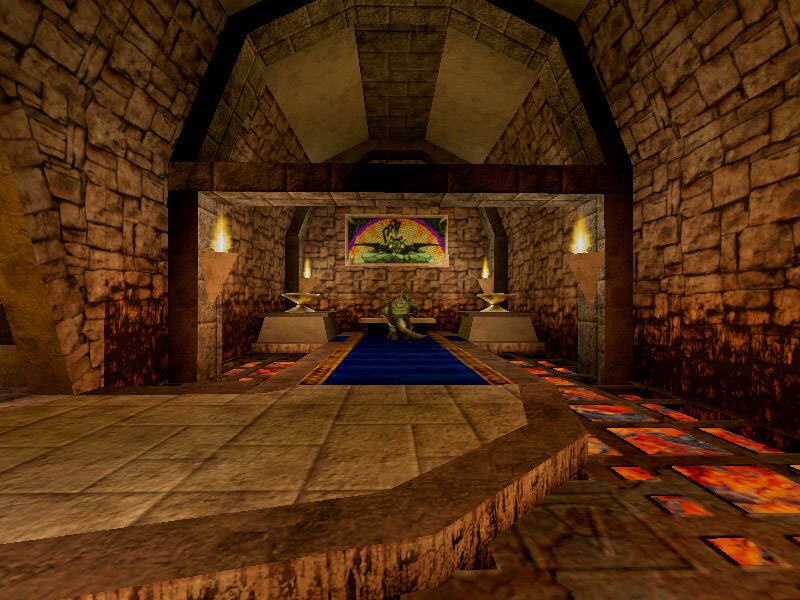 In general the idea of a "Skaarj temple" is kind of interesting, and Shamu Quest is the only mod I can think of that does something like that (and that's a bit different as it's a more mystical interpretation); despite their technology it makes sense that the Skaarj would force Nali to build/"convert" temples to them as another way to spite them.